ViMove gives you real-time feedback that empowers you to manage your lower back pain through improved posture and strengthening certain muscle groups. ViMove may allow you to reduce your reliance on pain medication and some of our users have found that they can avoid back surgery. By placing wireless sensors on your Pelvis, Low Back and Upper Spine (and on your shins for our Running Clinic), we get an insight into how these areas are performing when you carry out basic movements. Research has shown that when these areas stop working as a team, your chances of getting an injury is greatly increased. The ViMove Assessments allows us to pin-point the exact areas where potential injury may occur. Imbalances can be corrected if specific exercises are practiced. 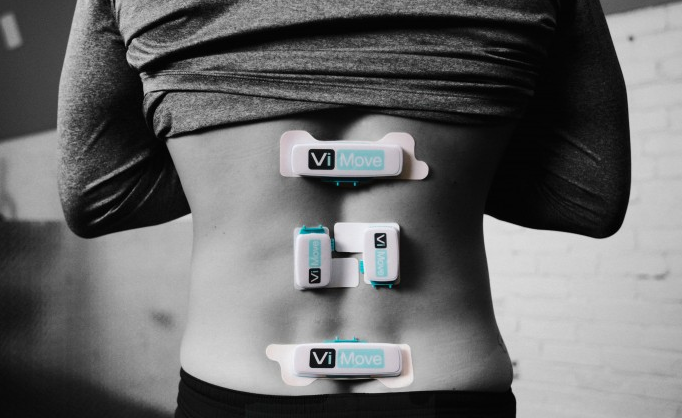 A Baseline Spinal Movement Assessment and/or a Functional Movement Assessment in the clinic (or at work with our ViMove at Work program) where the wearable sensors are placed on the skin on your back to monitor how you perform a series of simple movements. 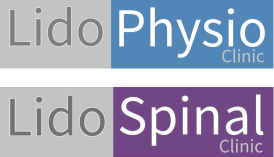 A report is generated that provides us with objective information on your movement and muscle activity. Your session may also include a monitoring session where you wear the sensors at home/work/gym and carry the small pocket size recording device with you. After you return the device to the clinic, data from the device is downloaded onto our computer, providing us with a detailed report. We have a better understanding of what may be contributing to your pain and how we can help you better manage it. If the assessment identifies incorrect movement patterns or muscle activity, we will prescribe a retraining program of exercises tailored to your needs. After 3-4 weeks, a follow-up assessment will check that normal movement has been restored. Click for an example of the Assessment report.